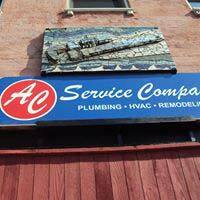 Locally owned, AC Service Company has been serving the Yellow Springs area for the past 90 years. Mark Partee has owned the business since 1990 and has brought the business up to become a vast wealth of knowledge in the HVAC and Plumbing industry as it is today. A C Service Company strives to exhibit the highest levels of product knowledge and customer satisfaction. 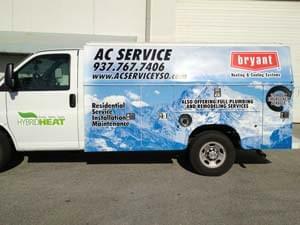 In 2011, we became a Bryant Dealer and now have become a growing entity to provide products that save you money on your monthly energy bills and make your home more comfortable in any season. Being able to offer high efficient systems to match almost any budget is a main goal of ours. In the plumbing area, we do simple repairs to complete bathroom and kitchen remodels. We repair and replace water lines and gas lines (inside and out) for your home. With various sources for some of the best product lines of faucets and fixtures out there (ex; Delta, Kohler, American Standard, Gerber, etc.) we feel we can help you decide on great products for your bathroom or kitchen upgrade that you will love to go in to and use every day. Our Technicians continually improve their skills by attending training, certifications, and factory training all though out the year to keep up with the advancing technology and products.